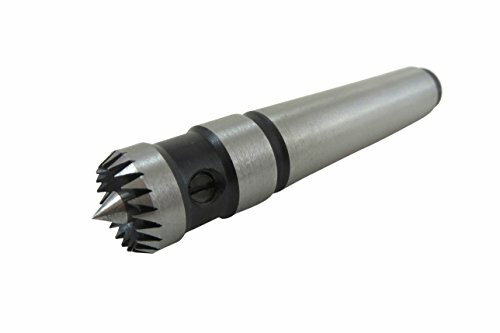 Multi-tooth, spring-loaded drive centers are far superior to traditional the 4-prong centers that come stock with most lathes. The spring-loaded center point contacts the workpiece first, then retracts into the center when pressure is applied. This prevents the center point from splitting of your workpiece. The multiple teeth then grip the wood as pressure is applied on the tailstock. Having multiple teeth grip in contact with wood greatly decreased the likelihood of splitting your work. 5/8" diameter. 3-3/4" long. Hardened steel. Morse 2 taper (MT2).